Travelers inside 30th Street Station in University City. The famous flipboard that sits in the middle of 30th Street Station and can be heard from nearly all angles of the transportation hub will soon be replaced by a digital upgrade, Billy Penn reported Thursday. Amtrak is switching out what's called a Solari board to make it easier for its passengers. 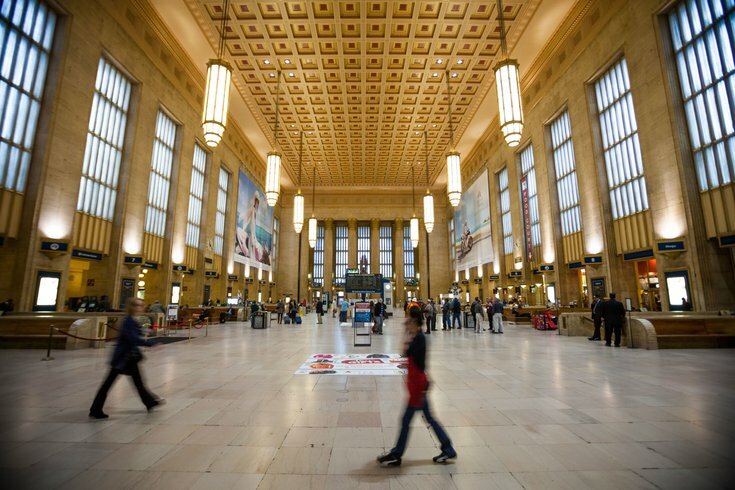 An employee at 30th Street told the news website that the seemingly decades-old flipboard doesn't make for easy upkeep. There's no date for when travelers can expect the replacement, however. Howard Pollman of the Pennsylvania Historical and Museum Commission said that The Railroad Museum of Pennsylvania in Strasburg, Lancaster County, is in talks with Amtrak to obtain the board after it sees its last day. Though, Pollman stressed, nothing has been finalized. Pollman said it made the most sense for that museum as opposed to others to get the marker. "They tell the whole story of railroad in Pennsylvania so it would be an ideal location," he said. Officials at New York's Penn Station told Gothamist earlier this week that their departure board would also be replaced with a digital upgrade. "We have a project underway to improve the passenger information displays at New York Penn Station," Amtrak spokesman Craig Schulz said in an email to Gothamist. "We're making good progress on it and hope to have it online later this year." An Amtrak spokesman told the website that their signs will be destroyed. There's no word on what's to come of the sign at 30th Street, yet.